3-Ingredient Brownie Recipes: You Won't Believe How Easy They Are To Make! We've got you covered for both! 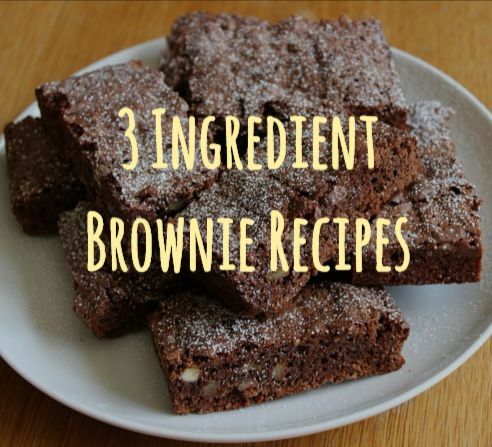 Here are some of the brownie recipes online that only require three ingredients. Pick the one you like best, or experiement with them all! As for the cleaning up problem, here's our solution - good quality silicone mats that you use to line your baking sheet. Because of its non-stick surface, it's easy to take off the brownies from the pan without using extra oil. Cleaning up the baking mat is also very easy - just pop in the top rack of a dish washer and you're good to go. "The ratio of Nutella in the recipe is VERY generous, and I used almost half the jar. 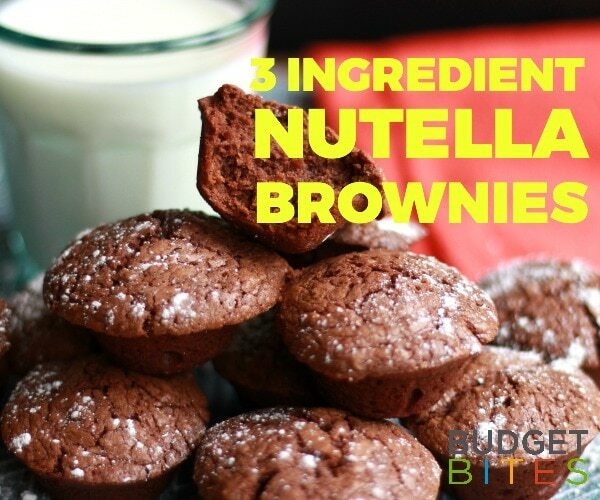 All you then need to add is some plain flour and eggs and your Nutella Brownies are almost ready to go!" 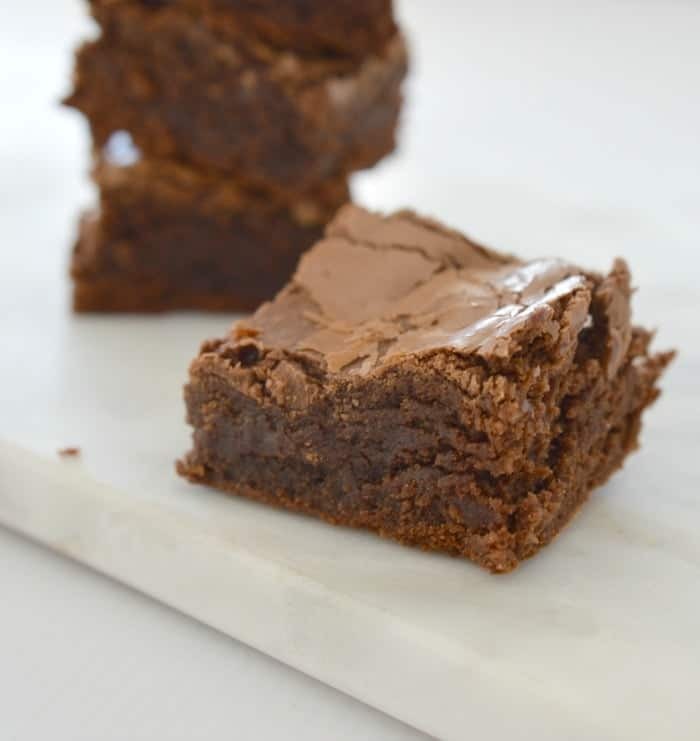 "Just three healthy ingredients are needed to whip up these dense, fudgy chocolate brownies! Dark, rich and subtly sweet, these flourless chocolate brownies are naturally paleo, vegan, gluten-free and completely refined sugar-free! A quick and easy snack recipe to satisfy the sweet tooth instantly!" Need an excuse to eat even more chocolate this Easter? Or just use up the leftover eggs laying around the house? Just add two pantry staples and this decadent chocolate brownie will be ready in no time. "One mention of the infamous chocolate-hazelnut spread and anyone around you will imagine smoothly spreading it over a piece of golden toast, then taking a huge bite and savoring the uniquely sweet mix of flavors." 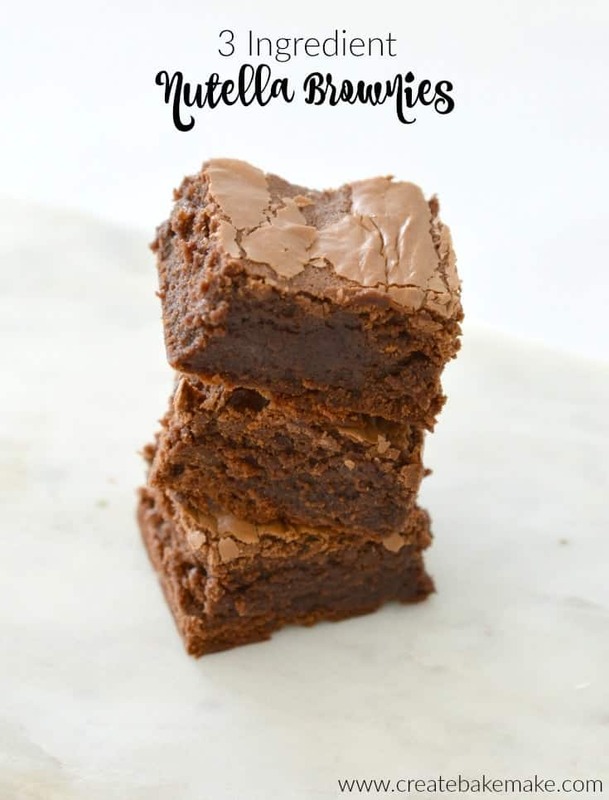 "What if we told you could take your chocolate-hazelnut experience to the next level with this nummy 3-Ingredient Nutella Brownies Recipe?" "We’re serious! All you need is three simple ingredients and the patience to wait about 30 minutes for these babies to come out of the oven piping hot and ready to be devoured."